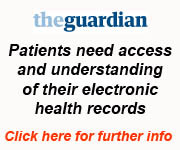 Would you like to know more about your health ? Haughton Thornley Patient Participation Group with Diversity Matters North West and Pennine Care NHS Foundation Trust have put some sessions together between 4-5pm on Fridays for patients / carers who would like to register for online services and are not confident on doing it on their own or with friends and family. The service is completely FREE of charge. Show how to view your results via graphs to help you monitor your weight or blood test parameters (useful for patients with high blood pressures, raised cholesterol, diabetes, thyroid disorders, kidney disorders and others) using Patient Access. You can learn more about the online services here. If you are confident in using the internet, downloading apps on a smartphone and know how to register on websites then please click here and go ahead and register online. You will need to register your pin numbers and also complete an online Records Access and Understanding Safety Checklist Questionnaire. If you are not so confident on going online and need more help then this is the course for you! Collect your PIN NUMBERS from the receptionist at your surgery before you come on the course. Bring along a friend or somebody who can help you if you are unsure. Don't worry if you do not have a computer or a smartphone / tablet. You can use the computers they have in the centre to access your records with. The staff will help you to register for online services using your PIN NUMBERS. If you do not have an email address then they will help you get one which you can use. 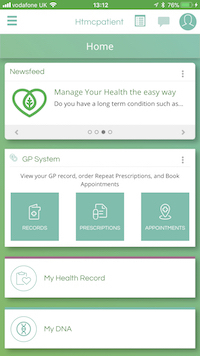 They will also help you to download the free apps - Evergreen Life and Patient Access too and set it up so that you can use it. 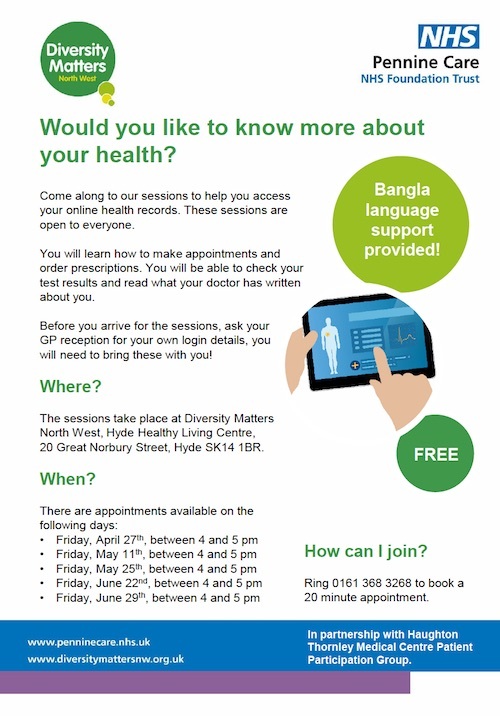 The sessions are for English and Bangla speaking patients. 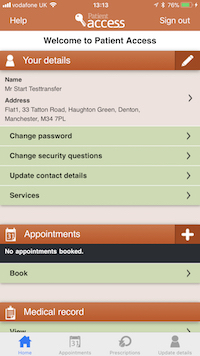 Please ring 01613683268 to book a 20 minute appointment now!